Best Tips to Identifying Fake Online Reviews | Website Traffic Review - Best Legit Traffic Sources you MUST Try! How do you spot fake online reviews? One way through which you can identify fake reviews is by carrying out an examination of the timing of the feedback that the product or service that you wish to purchase has received. Reviews that are accrued naturally should be consistent in terms of timing. 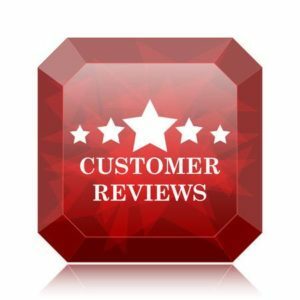 If you suddenly notice that some of the reviews were posted seemingly all at once, then there is a good chance that the business concerned is engaged in the purchase of feedback from unscrupulous dealers. Reviews can, nevertheless, appear to be artificial when they are only bunched together for the simple reason that they were written following the launch of a product or a promotion. As already mentioned, identifying fake feedback is not simple, so you need to take all factors into cognizance before making your purchase. Research indicates that online reviews in which there is an excessive use of personal pronouns are likely to be fake. The reason for this is that when people are trying to be excessively convincing, they resort to the use of personal pronouns. They are also likely to use more verbs. If, while scrolling down a list of reviews, you come across some that appear to have phrase repetitions, then chances are high that they are fake. Either that or the company may have coached people on what to say. Thing is, a person who is paid to fake reviews is unlikely to be meticulous, making it easy for you to detect instances of deception should you be on the lookout. Another sign that a review may be fake is if the writer uses generic names and has not bothered to include a real image of themselves. People who push bulk online reviews usually do not have the time to go this deep into their deception. Names such as John Smith should, therefore, raise a red flag. One of the things that make it possible to detect fake online reviews is the fact that most of the companies that carry out the deception outsource their activities to none English speaking countries. You can therefore detect whether or not a review is genuine based on the language that is used. If, as an example, you are looking for information about a product that is available solely in the United States, yet the language appears to have been written by none native speakers of the English language, then there is definitely reason for you to be suspicious. One type of reviewer that you are likely to come across is a professional reviewer. Professional reviewers are give products by companies for testing and are then asked to provide feedback. Though these are better than reviews that are left online by people who have had nothing to do with a particular product or service, the fact still remains that professional reviewers are usually motivated to provide positive feedback. One of the things that you can do to spot reviews by people who are paid or provided some other incentive to provide five star feedback is by checking out the profile of the reviewers themselves. If it appears that they have only ever been providing five star reviews, then you should be suspicious of their motivations. 3 star reviews tend to be the most genuine, all things considered. For one thing, five star reviews are likely to be from people who may have been provided with some form of incentive, while single star feedback is likely to be provided by people who are bitter about one thing or the other. Now, if you really need to know what people thing about a product or service, three star reviews are what you should check out. 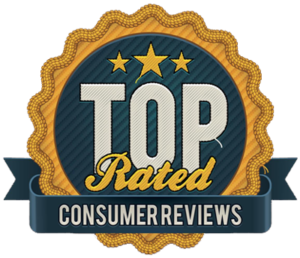 Make sure that you are getting the newest reviews for any product. If a product was launched with a bunch of less than genuine reviews, chances are high that it’s true colors will begin to show as people use it. With a number of the online review platforms that are out there, some form of verification is carried out on whether or not a purchase really took place. The best form of reviews are ones that fall under verified purchase. This type of feedback provides you with information that is provided by people who have genuinely tried out a product or service.